On March 24, 1884, Dutch-American physicist and physical chemist Peter Joseph William Debye was born. Debye’s investigations of dipole moments, X rays, and light scattering in gases brought him the 1936 Nobel Prize in Chemistry. Most of his work was in chemical-physics with special interest in electrolytes and dipolar momentum analysis. He established a theory of specific heat with some improvements on that proposed by Einstein. Peter Debye attended the Aachen University of Technology where he studied under the theoretical physicist Arnold Sommerfeld and completed his first degree in electrical engineering in 1905. 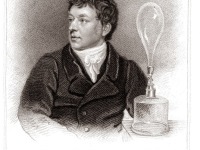 Two years later, Debye published his first paper on a mathematical solution of a problem involving eddy currents. 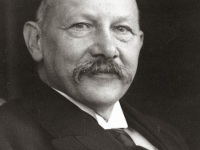 In 1908, now working with Sommerfeld in Munich, Debye earned his doctorate degree by deriving the Planck radiation formula using a method which Max Planck agreed was simpler than his own. After Albert Einstein left his professorship at the University of Zurich for a position at Prague, Peter Debye took his old post. He later also worked at Utrecht, Göttingen, ETH Zurich, Leipzig, and Berlin. In Berlin, he became director of the Kaiser Wilhelm Institute for Physics. Debye achieved his first major contribution to science in 1912 when he applied the concept of dipole moment to the charge distribution in asymmetric molecules. 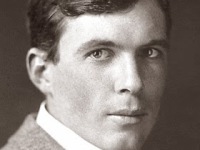 He then developed equations relating dipole moments to temperature and dielectric constant. In his honor, the units of molecular dipole moments are termed debyes. In 1912, Debye also managed to extend Albert Einstein’s theory of specific heat to lower temperatures by including contributions from low-frequency phonons. One year later, Debye extended Niels Bohr‘s theory of atomic structure , introducing elliptical orbits, a concept also introduced by Arnold Sommerfeld. Peter Debye later also calculated the effect of temperature on X-ray diffraction patterns of crystalline solids with Paul Scherrer and, together with Erich Hückel, he developed an improvement of Svante Arrhenius‘ theory of electrical conductivity in electrolyte solutions. 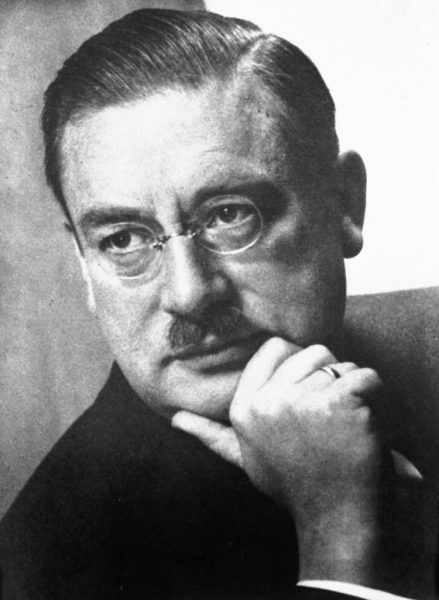 In 1923, Peter Debye developed a theory to explain the Compton effect, the shifting of the frequency of X-rays when they interact with electrons. In 1936 Peter Debye received the Nobel Prize in Chemistry “for his contributions to our knowledge of molecular structures through his research on dipole moments (Debye equation), diffraction of X-rays and electrons in gases“. In 1950 he was awarded the Max Planck Medal. During his later career, Peter Debye became director of the physics section of the prestigious Kaiser Wilhelm Institute in Berlin and was appointed professor of Theoretical Physics at the Frederick William University of Berlin. He held these positions during the years that Adolf Hitler ruled Nazi Germany and, from 1938 onward, Austria. In 1941 he became a US citizen, so that he was able to participate in research on plastics, which was important for the war. He continued his polymer research even after the war. In 1952 he officially retired from Cornell University, but continued his research there until his death. Peter Debye died on November 2, 1966 in Ithaca, New York, of the consequences of a heart disease. Albert Einstein revolutionized Physics, SciHi Blog, March 14, 2018. Arnold Sommerfeld and the Quantum Theory, SciHi Blog, December 5, 2015. 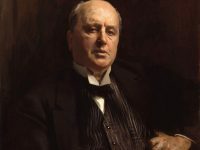 Max Planck and the Quantum Theory, SciHi Blog, April 23, 2013. Niels Bohr and the beginnings of Quantum Mechanics, SciHi Blog, October 7, 2013.